Baani's baked treats, specialize in delicious handcrafted treats and as well as eggless. Your vision and our creativity would be the perfect combination for any of your upcoming events. Adore by Kanika is a curation of unique, rare and one of a kind statement fashion jewellery which has been hand picked and travelled thousand of miles. My line carries distinct variety of fashionable Jewellery meant for women of all ages. The essence of the these bold and intricate designs aim to enhance the individualistic style and celebrating the woman in you. 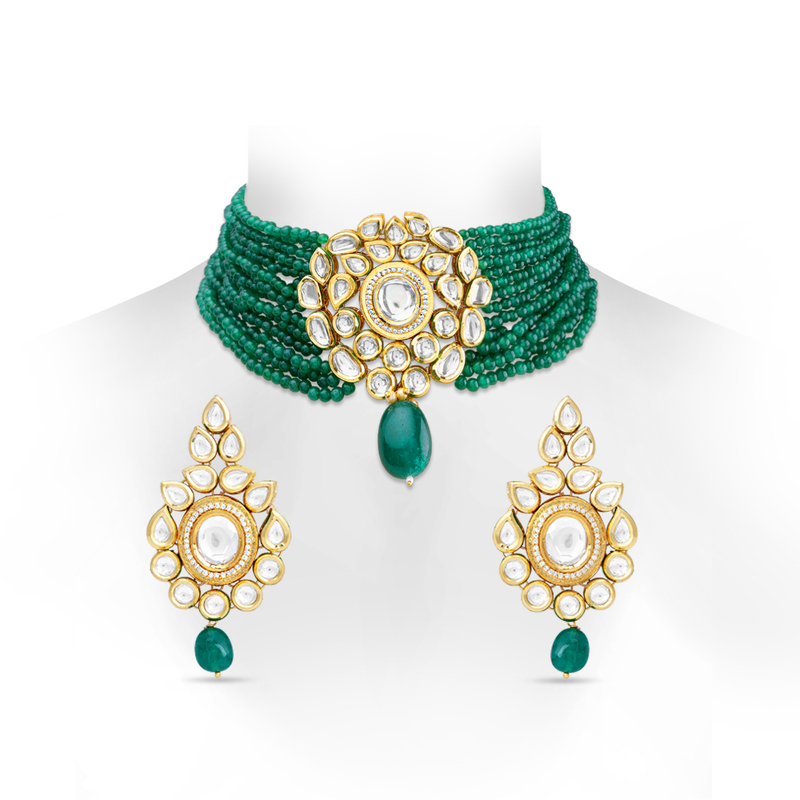 The adornments vary from beaded, meenakari, kundan and tribal peices which are one of a kind treasures and exhibit profound craftsmanship highlighting delicate details. Very Warm Congratulations to you! » We herd you just said yes to say “I DO” to your fiancé…! Now before you dungeon of happiness is there to blow the beguile, let us go ahead with your dreams, that the Toronto production house will see through your eyes and give it all with the boom and we shall make you fly on the wheels of happiness with your emotions to be the part of the merry go round with your family. Our team of professionals understands the values and concerns that you are not just bounded but are tagged with towards your fun and frolic family life since your childhood. Our team of experts is all dedicated not just to be a part of your happiness but to shower it with the right kind of happiness which is all about your “Star Day”, your wedding day! The choices of your “Prince Charming” or your “Lady Love” are all your commands in our absence and we fulfil it. The grand team of the Toronto Production House Inc. came together with the clusters of professionals few years back with a vision as clear as water. We step on the ladder of success by keeping in mind our clientele satisfaction and taking up the events, making it a complete package for their lives to make sure that we make the “Time of their lives” not just memorable but an unforgettable one. We endow a beautiful chemistry of your BIG DAY with our love and candied service of unique cinematography that is sweet and spicy with the theme based conceptualization and also your favourite Bollywood films production concepts that you have the best taste to enjoy your Champagne with. We cover a large scale of reputation that enjoys the facts that we take into consideration with many of your tastes and trolling tiaras that you would like to keep up on the priority list during your grand celebration day. » Our Star Values » Your Budget is our Command: You disclose us your budget and we give you the goody box of our services to make your event not just an amazing but an Enthralling one. » Pick Your Theme: We want to be not just the part your event but your taste is the most important aspect for us to discover the real pearl in the ocean of your feelings. Choose your theme and we shall turn it all with our magic wand to make your “Paradise” a “Wonderful” one. » Our Classic Selections, Just For You: Candid Photography, DJ and Sound services, Fun cinematography, Wedding Videography, Atmosphere designing, Event Management etc falls under our wide range of selections to keep a tab of the leading services worldwide that we can endow you with. » Our Clientele Hallmarks: Be it Petro-Canada, Metix Inc. , RBC, Td and a lot more big names fall under our clientele umbrella availing the happy go lucky services from our magical fab bag kitty. » Our Pride: Our forte is that we actually treat your grand events like our own off course! We further have the star struck affiliations with the leading brands and the best of the service providers that you will not be just astonished but awestruck to learn about. We are a Techno Mix Mixing Ingredients to make your Event a Yummylicious one » We go completely Mobile when it comes to our working criteria. We handle the Camera at your venue with a technical mix of creativity in order to make your wedding venue a much joyful and brighter one. » To capture your event we take the Art Technology into consideration and process it during the shoots accordingly. Plus we endow you with the fire shark and sharpest of the images during the post production and also take up the back up of the most precious and valued data and yet we keep the backup stored for the onsite and the offsite purposes. » We give you the 100 Percent Customization as per your theme based smart selections. So we are just a call away to make your day not just special but a Grand one! “We make your day not just memorable but an unforgettable one” Cheers! My unending love and passion for mehndi goes right back to my childhood. I was always fascinated with different shapes and forms and loved to create different patterns and designs on paper and also dabbled in putting mehndi on my family and friends. What was once a dream and childhood fascination has now become a passion and has inspired me to my career path as a “Professional Mehndi Artist”. Other aspect of this profession that is even closer to my heart is meeting people, especially during milestone events of their lives like wedding when their emotions are tightly bound to different rituals and Mehndi being an important part of the ceremony holds a special place. While losing myself while concentrating on the intricacies of designs, I find Mehndi very therapeutic - it connects me to my inner soul. This is also an extremely fulfilling experience as this is my creative medium to express myself. Constant encouragement, praise, and positive feedback have been the primary driving force behind my decision to pursue a career in this field. Professionalism, creativity and being receptive to the client's needs are just some of the attributes I possess. I believe there is no hard and fast rule to mehndi. The best artist is one that is flexible, considers the client's needs and is not afraid to experiment. My experience has taken me from being an amateur mehndi artist to one that is highly preferred and recommended. It's has been a pleasure to work with and be part of many Brides/Clients special day and give them their dream mehndi. In return seeing the happiness and gratification after they have put their trust and most important day in my hands, is truly rewarding. WHO? Camille Sanghera is a professional in the beauty industry with a background in education. She started as a free-lance makeup artist in 2014, and has since added eyelash extensions, microblading, nail art and hairstyling to her list of services. WHAT? Camille has experience working with brides, on film sets, costume and theatre, photo shoots, boudoir shoots, graduation, and more. WHY? Camille uses her background in teaching to educate individuals on the importance of self-expression and empowerment, which she is able to do through the use of makeup and cosmetics. Camille believes that everyone who is beautiful on the inside is beautiful on the outside. Makeup and cosmetics are an art meant for personal empowerment, self-expression, and personal style. "Your body is a temple. Treat it with ease and decorate it how you please." During the span of years Karigari has become one of the top manufacturers and wholesalers of fashion Jewellery in India. Karigari at present has Retail presence in metropolitan malls across major cities in India with over 10000 plus exclusive array of theme designs ranging from modern to ethnic which suits every mood and occasion. Karigari creates a line of affordable yet stylish jewelry which is rich in design, high on elegance and impeccable in craftmanship yet lightweight and easy on pocket. Moreover , one can visit www.karigarijewellery.com to shop Hassle free with Fast shipping, COD, Easy exchange and Best Quality products. Karigari believes Jewellery is a way of keeping memories alive. The one little thing can make you feel unique. Karigari specializes in high end designer earrings using materials like glass beads, Austrian crystals, pearls, kuda stone etc with exclusive collections for Office, Party, Wedding & Regular wear. We would love to present our existing and new collections of and more as we continue our endeavour towards making 'Karigari' a favourite jewelry brand! Want to be part of North America’s biggest wedding extravaganza? Fill in the form and send it to us, to join our world-renowned exhibitors' list.